Doing business with Cobbwebs is EASY. If you feel that your computer technology is not working the way it should, lets talk about it. Everyday computer and network issues. Remote Support, Monitoring and Backups. On site visits as needed. 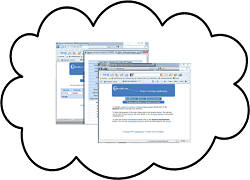 Cloud Based Help Desk System shows all Documentation, Invoicing and Reporting. That's how OUR system works for you. while WE handle the technology.